MSU Lake Charles: The unit has implemented Port Condition Port Recovery. 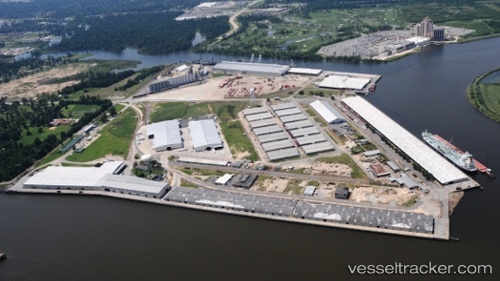 Ship movements started at 03:00AM with a vessel sailing from the Port of Lake Charles. All movements must be approved by the MSU prior to scheduling a pilot. Lake Charles Pilots: The pilots confirmed that traffic is moving well since the port’s reopening. They requested delaying an inbound vessel until Friday morning so to arrive in the area of the Port of Lake Charles after daylight, because of the strong currents moving through the area. There are only five more ships scheduled to come in and traffic should basically be caught up by about noon on Friday. The Port of Lake Charles advises that all conditions are normal and they will be standing down from Safe Harbor at 02:30 hours on Friday. Two vessels remain in port and will change to layberth status. US Army Corps of Engineers reports that a contracted vessel shall arrive tomorrow morning to work the offshore channel starting at the jetties. Other surveys in the area are ongoing with existing assets and more are on the way. Customs & Border Protection in Port Arthur remains closed and inaccessible due to flooding. Please contact the CBP Houston office for any questions regarding CBP Port Arthur vessel processing. CBP Port Arthur is trying to locate temporary office space in Beaumont so they can get operational again.